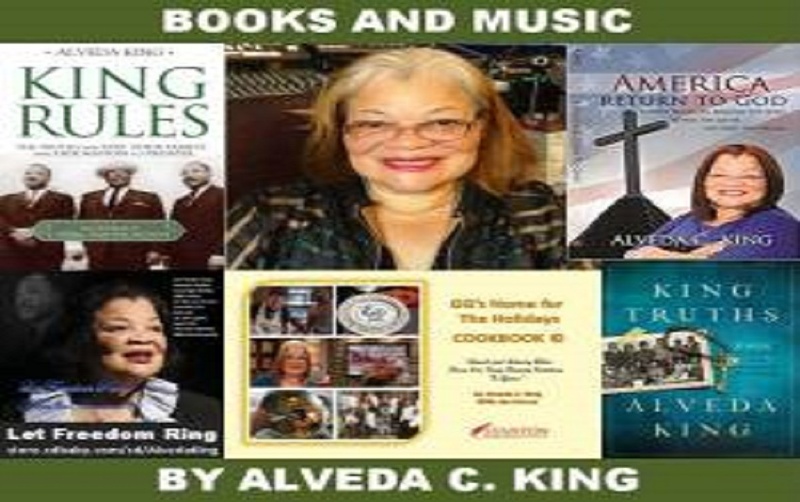 Alveda King: As MLK 50th Anniversary Looms, Babes and Millennials Proclaim — We are not Color Blind! 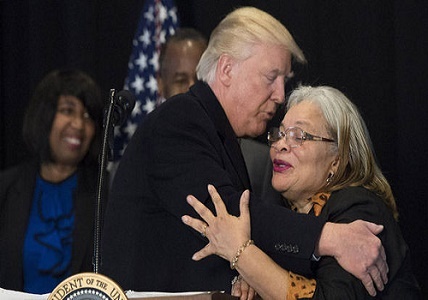 Dr. Alveda King endorsed Trump for President because of his promise to stop killing unborn babies and his promise to fight for blacks who are used as cannon-fodder for their Deep State, New World Order dreamers. “We must learn to live together as brothers [and sisters], or perish together as fools.” Rev. Dr. Martin Luther King, Jr. Someone texted me a social media clip from Joel Patrick recently. Click HERE for image. The #s caught my attention with a message I learned at my ancestors’knees. We are one blood, one human race. In context, President Trump says that we are all red blooded [people]: “It’s time to remember that old wisdom our soldiers will never forget, that whether we are black or brown or white, we all bleed the same red blood…” Click HERE for Image. The skin color war is at the root of human dissension and division; causing escalating wars, pain and death. There is a “three headed monster” at the heart of these race wars. Racism, Sexual Perversion and Reproductive Genocide work together to destroy our lives. Resist them in prayer and positively defined action. Important footnote: With looming midterm and 2020 elections, let’s not forget in the lofty towers of government and on society’s highways and byways, that minority votes and presence at the tables count. It will always be a grievous error to overlook and or deliberately exclude participation of a people group because of skin color bias. Minority votes count! Coming soon: Alveda King and Ginger Howard, NOT COLOR BLIND.